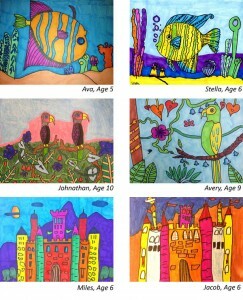 Creativity in children can be a beautiful thing! 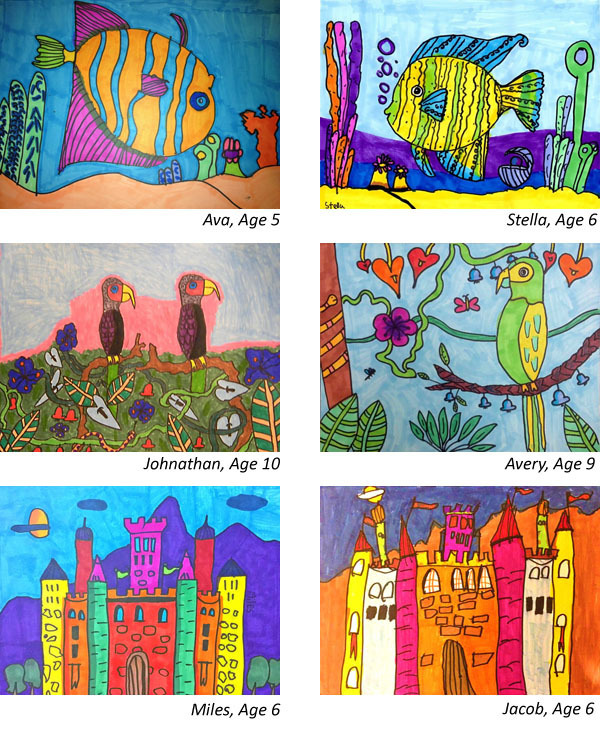 Who doesn’t love to see their kids get up off the sofa and use their minds to create? Unfortunately, according to owner of Thrive Art School, Theresa Harris, by the age of twelve children are only utilizing 2% of their creative potential. That’s a far cry from the 80% they use at age five. What can be done to stop this degeneration of creativity in the minds of our children? Theresa has a few ideas. The art school owner recently started a project with a $30,000 goal on the crowd-funding site, Kickstarter. What is she funding? Her project is funding her brain child. An art school…for your kids…via your iPad. How awesome is that?! Thrive Art Online will include: 6 online video art lessons, parent coaching videos, an online parenting community and an online art portfolio so that kids can share their art with the world! The great thing about these lessons is that they can be viewed anywhere on any device that has web access and the capability to stream video. As a homeschooling parent, this is a dream come true and for parents whose children attend a traditional school, what a great way to keep the creativity flowing after school and especially over summer vacation. With such a fresh new approach and the results from her brick and mortar school to back it up, Harris is ready to take her teaching to the next level by providing quality instructional art videos to children everywhere! By making a donation to her Kickstarter project, you can get Thrive Art Online at a great discounted price! Click here to view the Thrive Art Online Kickstarter page.